The ACT Government has today introduced legislation that will restrict the use of lever action shotguns in the ACT in line with a national agreement reached in December last year partly in response to increased prevalence of Adler A110 weapons in Australia. · More than five rounds to Category D.
Category B licences are restricted to farmers and people with a specific need for using the firearm, such as recreational hunters or pest controllers. A Category D classification is more restrictive – limiting the accessibility of firearms under that class to professional shooters and primary producers who have a genuine need that can’t be met by another firearm. Minister for Police and Emergency Services Mick Gentleman said the ACT had today become the first jurisdiction to move to restrict access to rapid fire lever action shotguns. “The amended classifications strike an appropriate balance between the right of the community to live safely and the interests of licensed firearm users,” Mr Gentleman said. As part of the review of the National Firearms Agreement the Council of Australian Governments (COAG) in December last year agreed to re-categorise lever action shotguns. The Bill will meet the government’s commitment at COAG and aligns with the revised firearms agreement, released in February this year. “As technology evolves, lever action shotguns of any brand become more sophisticated and potentially more dangerous when in the wrong hands,” Mr Gentleman said. 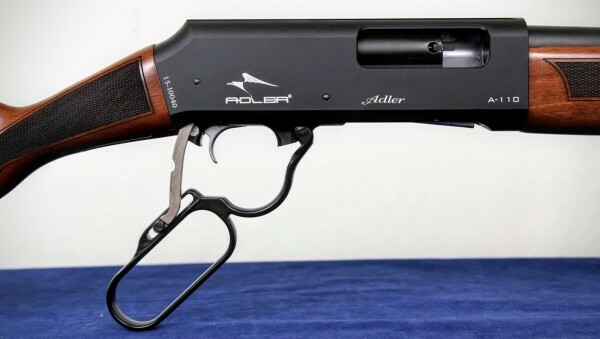 The importation of lever action shotguns with a magazine capacity greater than five rounds was temporarily prohibited by the Australian Government in 2015 in response to the imminent arrival in Australia of a significant number of lever action shotguns with a magazine capacity of seven rounds, in particular the Adler A110. Well I suspect this won’t worry to many Canberrans all that much, nor even those recently arrived interstate human rights compliant bikie gangs . They seem to prefer pistols. Good to see that ACT government tackling the big issues. I can’t help but think it’s taking precious time away from their virtue signalling, though. Well, it’s certainly a bigger issue than safe schools, marriage equality or section 18c but in there are bigger fish to fry and you need electricity to fry something. Imagine if they spent as much time and effort on solving the issue of illegal firearms as they do on these placebo pieces of legislation, we might actually get somewhere in solving the issue of illegal firearms and actually increase public safety. I don’t understand how anyone can think that restricting legal access to a 1850’s era firearm that is near impossible if not impossible to conceal will have any effect on gun crime what so ever. This is simply so the government can look like they are doing something about gun crime while not actually doing anything at all and the general public and media just eat it up, its pathetic. All lever actions are the same; no such thing as a slow lever action or a rapid fire one. And lever action rifles/shotguns are next to impossible to fire when in the prone position. Nevertheless, lever action shotguns are very effective for control of feral animals, especially wild pigs. It’s great to see the states and territories working together on mutual recognition of certain regulations but I can think of many more that are far more important than lever action shotguns. As far as leaver action firearms go shotguns a would have to be one of the slowest cycling of them all owing to the longer overall length of the ammunition requiring increased leaver throw and blunt nose of the ammunition causing them to jam frequently.